Wikipedia, Heikenwaelder Hugo.Cardiac cells lose most of their capacity for proliferation and regeneration shortly after birth, making it difficult for hearts to recover from damage later in life. But researchers have identified four human microRNAs that can stimulate proliferation of adult rodent cardiac cells in culture and help protect against damage during heart attack in vivo, according to a study published today (December 5) in Nature. If the microRNAs work similarly in human cardiac cells, they may have potential as regenerative therapies after heart damage. “This is a different approach to repairing damaged cardiac tissue,” said Scot Matkovich, a molecular biologist at Washington University in St. Louis who was not involved in the research. In contrast to stem cell-based approaches, which aim to integrate new cells into the heart, microRNAs (miRNAs) could potentially be a way of “waking up existing cardiomyocytes immediately adjacent to an area of [heart] trauma, still in their native environment, so they can proliferate a little further and fill in the gaps,” Matkovich explained. Shortly after birth, mammalian heart cells lose most of their capacity to proliferate, which makes it difficult to repair damaged heart tissue, following a heart attack, for example. One approach currently being examined is the use of stem cells, differentiated into cardiomyocytes in the lab and then transplanted into damaged hearts. But so far this approach has been stymied by the difficulties of integrating new cells into an existing system. 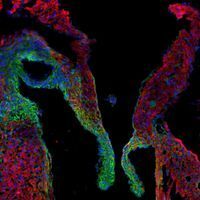 “Implanted stem cell-derived cardiomyocytes try to establish their own beating rhythm—they have trouble syncing with the rest of the heart,” Matkovich noted. 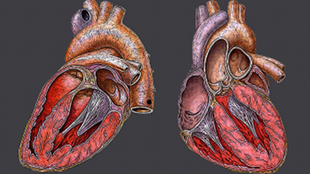 MicroRNAs, by targeting cells already in an existing heart, by-pass this hurdle, said Matkovich. This suggested to Giacca and first author Ana Eulalio that miRNAs, which can regulate gene networks, could be involved in fixing the damaged tissue. Indeed, previous work had already established that miRNAs play important roles in regulating cardiac cell size and inhibiting cardiomyocyte proliferation. To test this idea, Giacca’s team screened a library of human miRNAs. They transfected rat neonatal cardiomyocytes in vitro with different miRNAs and measured proliferation and cell division. The scientists identified 200 miRNAs that prompted the cells to proliferate, and further narrowed the field to four microRNAs that could also induce proliferation in adult rat cardiomyocytes, increasing the likelihood that they’ll work in humans as well. Giacca and his colleagues then further tested two of the miRNAs by injecting them into the hearts of neonatal mice and rats. Fluorescence microscopy showed that rat neonatal cardiomyocytes proliferated in response to miRNA injection, and 12 days after injection, mouse neonatal hearts were enlarged, but without showing signs of cell enlargement, indicating an increased number of cells in the organ. Importantly, hearts of adult rats administered the miRNAs immediately after induced heart attack showed reduced damage and preserved function compared to the hearts of rats that didn’t receive the therapy. 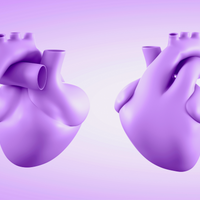 If the miRNAs promote proliferation in human hearts, Giacca expects that they could have therapeutic applications not just for heart attacks, but in any situation where heart tissue needs repair, such as during bypass surgery. But miRNA therapeutics need to be approached with caution, said Matkovich. So far, the miRNAs can help prevent heart attack-associated damage if given immediately after a heart attack commences—not particularly relevant to most people’s experience of heart attack, he noted. It remains to be seen if administration later still helps repair damage. 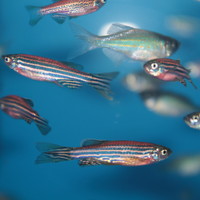 Careful attention also needs to be paid to long-term effects of miRNA expression, said Da-Zhi Wang, a molecular biologist at Harvard Medical School. 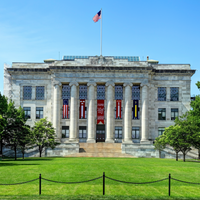 Although Wang considers miRNA-stimulated regeneration of heart cells “definitely promising and the right direction to go,” more research examining longer time courses and the effects of miRNA injection on other tissues is needed. A. Eulalio et al., “Functional screening identifies miRNAs inducing cardiac regeneration,” Nature, doi: 10.1038/nature11739, 2012.